Why should people invest in rebuilding their vehicle's engine's as opposed to just getting rid of their car? Rebuilding an engine is an economical option when the engine's performance is the motivation in seeking a new or used car. Since the rebuilding process basically makes the engine "new" again, you can basically double the mileage you get from the car that you already own. Rebuilding an engine brings the cost per mile driven down drastically. The actual cost per mile benefit has too many individual differences to pin down. Purchase price and miles driven are the key cost variances. Since today's cars rarely rust out, their suspensions last longer and there are fewer dramatic model design changes (which are other common reasons to get rid of a car), it makes sense to extend the return on your vehicle investment through rebuilding your engine. Buying a new or "newer" car usually comes with a pretty high price tag. Even most lease programs have hefty down payments of at least $2,000 to $4,000. So when you can actually rebuild your engine for the same amount as a down payment, well, in a tight money economy, people are wise to look at, or consider this option. Basically, all the wear parts in an engine are either replaced or resurfaced to a "new engine" condition. 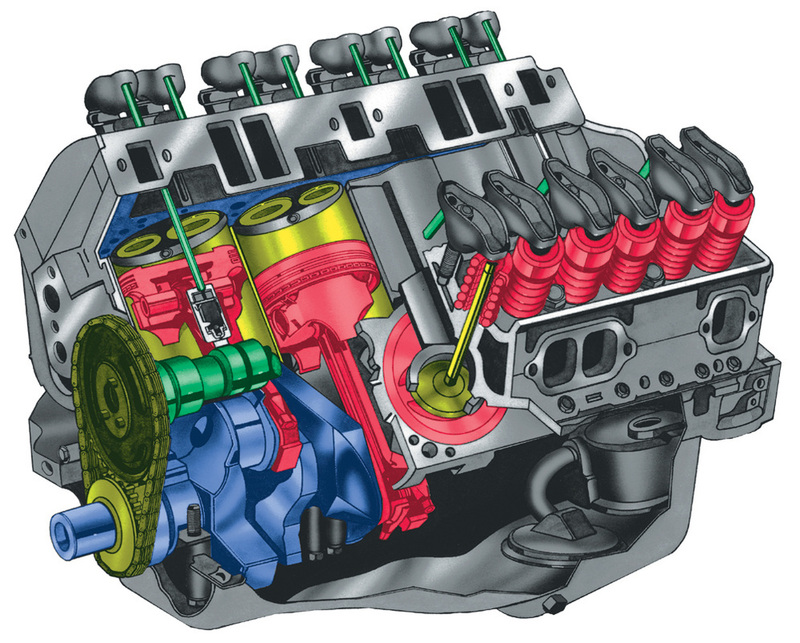 Typically, the cylinders are bored out; new pistons, piston rings, bearings, camshafts, lifters (tappets), gaskets, oil pumps, timing gears and chains, crankshafts are reconditioned, and cylinder heads are reconditioned. After all of this is done the engine performance is as good as (or better) than out of the showroom. You have restored it's efficiency. How long is the engine rebuilding process? Although this varies, it could take as little as a couple of days when another rebuilt engine is dropped into the vehicle. Most likely it will take about one week.